Every company sees itself under a positive shade. But the viewpoint of an outsider might not always coincide with that of the company. In such cases, it becomes imperative for companies to approach online reputation management firms and resort to tactics which will build up a positive aura around the brand identity in the online world. 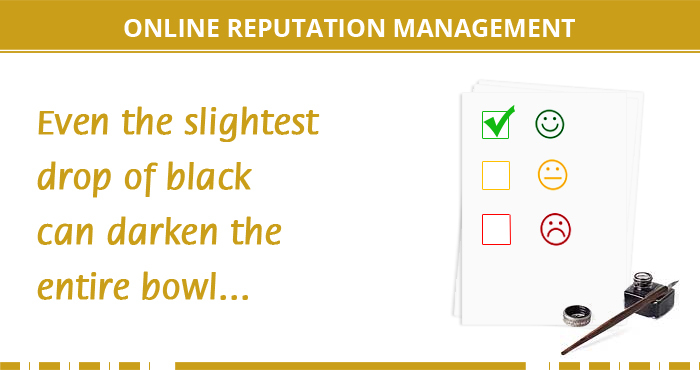 At MercuryMinds, online reputation management means much more than the conventional usage of the term. To build up a positive presence for mcommerce and e commerce websites in the online world, we traverse all the way through tactics like replying effectively to customer complaints, asking sites to remove untrue information, utilizing online responses to manipulate product expansion, acquiring mentions of the client’s brand in highly ranking third-party sites etc. Responding to online criticisms effectively, so as to metamorphose them into positive outcomes. Astroturfing third party review sites to create beneficial reviews and nullify the effects of negative reviews. Using denial-of-service attacks, spam bots etc to get rid of websites with damaging content. Creating anonymous identities and blogs for the client throughout the web to build up positive reviews. In case of libel by a third party, we submit legal requests for removal of the content. Promoting brand identity presence through press releases. Creating social media profiles to outperform negative reviews. Fine tuning the SEO of business related materials like testimonials for the purpose of brand building. As the old adage goes, “prevention is better than cure”. So, we stay vigilant for early signs of reputation issues and tackle them way before any serious damage happens. We constantly keep a watch over the online reputation of our clients, analyze it and manipulate it to obtain positive results. Thus our services can slash off all negative search results about our clients, and take them all the way up.